NCFE: Yeah (local high school sports) Team! 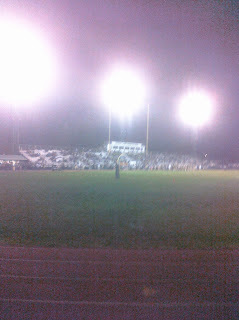 When was the last time, prior to last night, I attended a high school football game? The honest answer is as follows: I really don't freak'n know. It has been that long. And so the stage was set yesterday when I got the call from Ms Rivers wondering if I would be interested in attending yesterday evening's Wyoming Area vs. Northwest Area football game. I confess that at first my answer was "no", as I was still at work, had to deal with an a setback on one of my projects, was facing a trip to CVS to score some 'roids for my asthma (which is acting up due to my lingering cold), and I had a business continuation planning (BCP) test for work to conduct at home. In short, I felt stressed. Fast forward about 20 minutes and I am leaving CVS, thinking to myself "screw it, I can leave the game, get home by 10pm and complete my test well before 11:59pm" (the BCP test had to be completed on Friday). So, to make a long story short, I found myself navigating the backstreets of West Pittston PA, looking for a parking spot outside of Wyoming Area's football stadium. Now for the record, I need to explain my knowledge of, and experience with, high school football. That would be "none". I attended Bishop Hannan High School in Scranton, which was notable for being "Tech with ties" (translation: Scranton Central HS was to the Jesuit Scranton Prep HS...the "smart" schools...as Bishop Hannan HS was to Scranton Technical HS...the "dumb" schools) and for not having a football team. 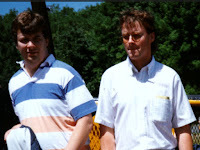 I'll also note that, at the time of my graduation, I was 6'3.5" tall and weighed about 170lbs...in other words I was more of a goalpost than football player. Making this even more of a knowledge disaster, Ms Rivers is a graduate of Philadelphia's Girls' High, meaning that her knowledge of high school football is about as laughable as mine. But man, we both know a hell of a lot about the pension business. Anyway, the stage was set. For a small town, this is a community event. It is as much about having an evening out as it is about sports. Hell, most of the horde of little kids running around couldn't care less about the game. Most of the people wandering around weren't really paying attention to the game either. And all of this was okay. It's really not that much about sports anyway. I still don't get the concept known as "cheerleading". I couldn't understand more than half the words they "cheered". It think it's just an excuse to somehow include girls in the process. High school football teams have small supporting army of folks. It's fascinating watching the sidelines, as it is this odd combination of focus and disorder. High school football is far more fun to watch that college or professional football. More mistakes, bigger plays. The coaches take more chances. As a sport, I can understand the attraction. I don't know how people in the South can watch high school football games in warm weather. It seems to be almost required that the air be cool for events such as this. I did snap a few pictures with the camera phone, but must are, well, horrible. I needed better gear, but none was there. If there is a next time I'm going to bring an SLR. If there is a next time. There probably will be. Maybe. In the end, I was very glad I attended. It was as much an exercise in Sociology as it was anything else. It was also just nice to be outside on a nice Fall evening with my partner in crime. A splendid time was had by all. For the record, I did complete the BCP test, with time to spare. 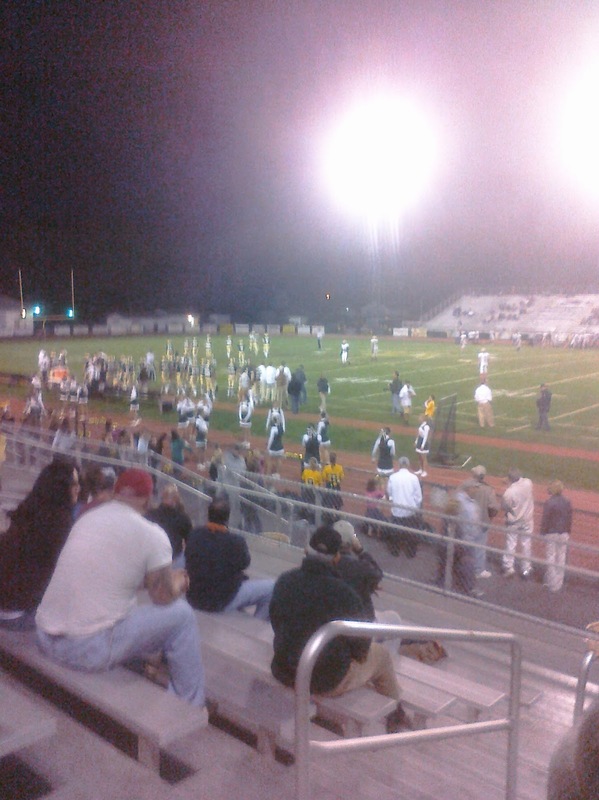 Oh, and Wyoming Area won the game. Details HERE.